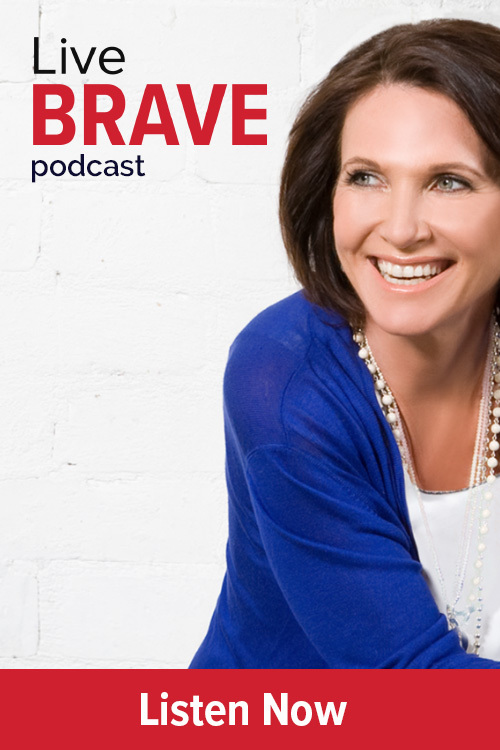 Margie Warrell | What Makes You Feel Alive? 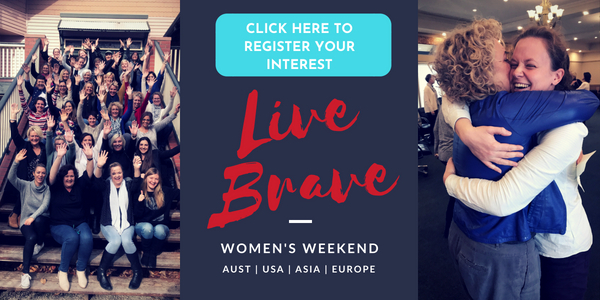 Several years ago I decided to run my first Live Brave Weekend for women, and subsequently, other Live Brave programs for women and men. The idea for them came after realizing that many people could benefit from a deeper, more transformative experience than my corporate engagements generally allow for. My intention was simple: to help people step through the fears and ‘stories’ that keep them stuck, stifle their potential or limit their fulfillment in their relationships, work and lives. What you may not realize though, is how much I’ve had to walk my own talk – confront my own fears, embrace my own vulnerability – in putting on my Live Brave weekends. It might seem reasonable to thin that because I spend my life encouraging people to risk failure, to put themselves ‘out there’ and to choose faith over fear, that I myself have transcended the vulnerability that accompanies such actions. That I never lay awake at night, my stomach in knots, wrestling with doubt and worst case scenarios of what could go wrong. In the lead up to my recent Live Brave Weekend, my vulnerability-meter dialed up all over again. I even considered canceling. I rationalized that between so much corporate work, my PhD, launching my podcast and four kids, I was just too busy. In truth, I just felt acutely vulnerable. I am so grateful I didn’t cancel; that my fear of falling short didn’t win. Why? Because when we pursue what our heart is calling us to do – and rise over the loud din of doubts in our heads – life rewards us in ways we cannot imagine. 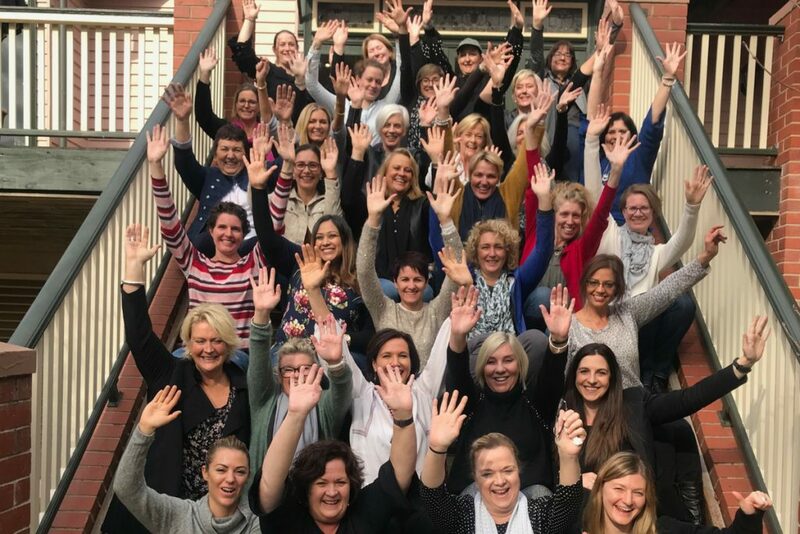 The forty or so women who came from all over – in their 20s to 60s, from bankers to educators, detectives to nurses – created something truly magical (the video above will give you a glimpse of this!). We laughed, we cried, we danced, we hiked, we hugged and we shared our greatest hopes and deepest fears. Precious friendships were born, old stories rewritten and new possibilities took flight. If that is not magical, if that is not what makes life truly rich, then I don’t know what does! That I got to be part of that was every bit as great a gift to me as it was to those who found their way, and their courage, to join me. My Live Brave Weekends are my “God work” which I define as the sacred work we are each put on earth to do. They may not pay the same as my corporate work but they are deeply rewarding at the soul level. I share this with you now because I know that you have your own “God work” to do – your own special mark to make on the world. While I use the term God, it’s not because I’m pushing any spiritual or religious dogma. In fact, whether you believe in a Higher Power or not is irrelevant. All that truly matters is that you are moving toward whatever makes you feel more alive; that fuels your spirit, draws on your strengths and infuses a deeper sense of meaning into your days. Our “God work” is done by moving toward whatever makes us feel most alive and aligned. This differs for each of us but has one common requirement – that we must choose the path of faith over fear. Raising children is God’s work. Building a business that leaves others better off is God’s work. Writing a book is God’s work. Championing for change against injustice is God’s work. Teaching the young or visiting the elderly is God’s work. Researching cures, tending to the natural environment, building community, running for office, cooking a meal, supporting a friend, expressing beauty, challenging authority, creating music, tending a garden… it’s all God’s work. God’s work is doing whatever you are called to do in any given moment that elevates your own connection to the world, to those you share it with and to a future that is bigger and better than your past. Drawing on your strengths and hard-won wisdom, it enables you to make your own unique mark on the world in ways that no one else can. No one. So whatever it is that is tugging on your heart right now, listen to it. And if you find yourself feeling pulled toward action, take it. This does not mean you won’t feel vulnerable or afraid. It does not mean you won’t ever worry about messing up or losing face. Nor does it mean that everything you do will turn to gold every time. But that tug is there for a reason. So just for today, I encourage you to choose the path of faith over fear. To trust that you are here to make your own special mark – to do your own ‘God work’ – and that you have everything required to fulfil it. Then tomorrow, repeat. Keep doing that and eventually you will come to realise that those moments of vulnerability were simply affirmation that you were on the right path. PS: Call for support! My mission in the world is to embolden people to live their highest purpose and become brave agents for change. Part of fulfilling this is to run my Live Brave Weekends around the world for many years to come. To do this, I need to find people who share my passion for this work and love to coordinate events. If you are open to helping in Asia, Europe or the USA, please email [email protected] and let me know!